Every lady needs a different hairstyle every once in a while. It may be a protective hairstyle to give hair a break from chemical treatments, or she may just want to have a different look. Braids, wigs and weaves have a dramatic effect on a lady’s look and when well done using good quality products, they lift a woman’s feeling of beauty and self-confidence. And we all know what self-confidence can do to a woman! 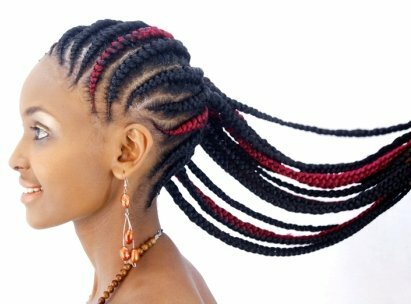 Majority of ladies who have had their hair braided or weaved have used a product from Darling Kenya once or several times. Infact I can bet that if you braid regularly, you have used Abuja braids. Darling on the other hand have been hard at work producing good and assorted products to fit the different tastes of their clients. Today the company has relaunched its Abuja Hair Extensions brand portfolio. Abuja is the highest moving extension, hogging over 50% market share in the hair extensions category. It now comes with a new and improved look after 11 years in the market. With the relaunch and improved look, Darling seeks to address customer needs for volume and therefore value for money. You will therefore be able to use fewer bundles of braids to get your whole head braided. The company has read their clients and seen that they’re looking for extensions that mimic the trends from America and United Kingdom. The rebrand follows this market demands. Darling also promises continued quality and innovations in the brand’s products. We’ll be taking a deeper look at the re-launched Abuja braids in the coming days.